This wooden board is inside St John the Evangelist Church, Vicarage Road, New Hinksey. 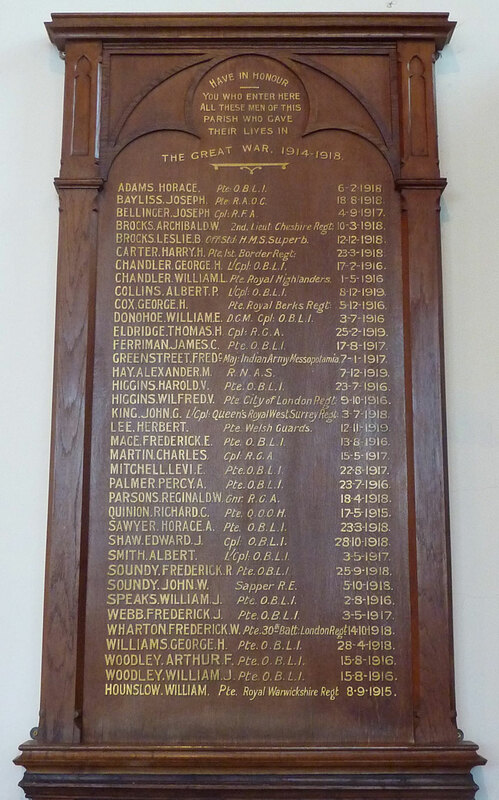 It lists the 37 men of New Hinksey who died in the First World War in alphabetical order of surname (except for William Hounslow added at the end). THEIR LIVES IN / THE GREAT WAR, 1914–1918. Pte. City of London Regt. L/Corporal Queen's Royal West Surrey Regt. Pte. 30th Batt. London Regt.